I was recently invited to a new platform called staffrm (they are also on Twitter as @staffrm), where the blog posts have a limit of 500 words. It’s great for little snapshots of good practice or reflection and is well worth having a look at. You can follow others to keep up with their posts. It’s nothing really new, but it’s the succinctness and simplicity of the posts themselves that make it appealing. 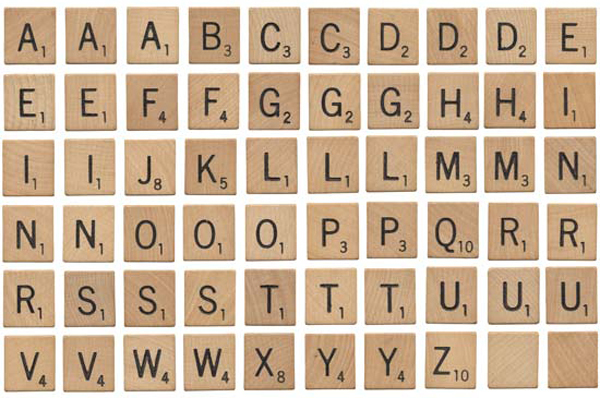 A long while ago it was suggested to me that students would benefit from playing some scrabble – literacy, numeracy and all that. I didn’t pay much attention to it, but it came towards the end of this term and my sixth formers had a lot of time to play with. So I printed off a load of scrabble pieces and scrabble boards from images on Google, and my Year 12 students got to work cutting them up. Students found it quite difficult, actually. After four or five words were placed, they struggled to both think of words related to the course (limited in length, of course) and in placing them somewhere on the board. They did really enjoy it – and it encouraged some serious debate about whether a word choice was suitable because it didn’t fit with the course. This led to quite in-depth discussions around meanings of words and students using some high level thinking in trying to link ideas together. 3. New rules could be introduced to change the style of play – for example, students could be restricted to words of a certain value, or you could have certain time limits and so on.